This is a clip from AnimSchool's class Character Performance, the 5th term of the 3D Animation Program. To find out more, go to AnimSchool.com and apply now! Today we are welcoming AnimSchool Student Jared Johnson. Jared is already working in the animation industry and, as many other colleagues, he keeps studying and expanding his skills along the way. Like most artists, I began drawing at a very young age. I grew up loving animated movies, cartoons, comic books and video games. For years I thought I would become a comic book artist, but I felt frustrated being limited to a few panels to tell a story. I’m originally from Pennsylvania where I started my art education. While in college, I realized that animation was a liberating medium and I’ve been working in it ever since. I continued studying art and animation in San Francisco and eventually started my career there. You are currently working in the animation industry, right? Tell us about it. I am! Currently, I’m working at Gazillion Entertainment as an animator on the “Marvel Heroes” online video game. Before returning to work at Gazillion, I wrapped up animation work on the feature film Free Birds last summer. My career consists of some great opportunities such as video game cinematics, documentaries, and cartoons for adult swim. Blocking is generally the most fun part of the process. It’s the time when you get to play around and experiment the most. Otherwise, I also enjoy the polish stage of adding refined detail and subtlety to animation. It’s easy to get inspired when I come across really good character performance or creature shots. Being able to work on them is a blast too. You've taken a 3-month Express Class in Character Performance. What were your ideas before taking the class? 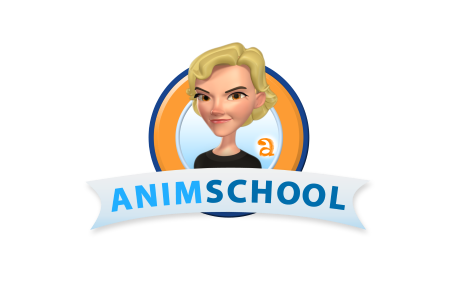 In what ways do you think Animschool has helped you after you finished it? Since most of my career has been in TV and video games, I felt it was important to push my skills and work on a more polished, character driven shot. 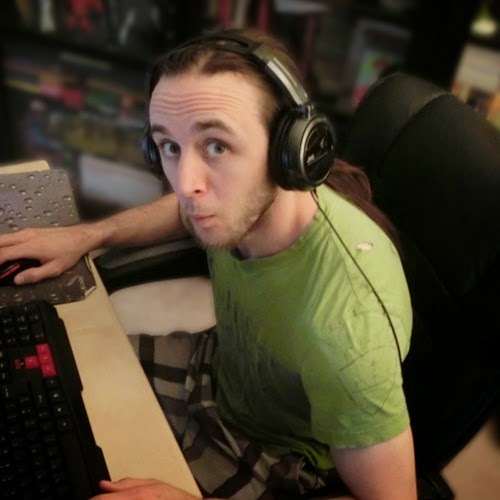 When you work in games, you’re not always able to really sink your teeth into character performance and that’s something I want to make sure I kept working on. The instructor, Christopher Bancroft, really helped keep me on track and focus on what was really important in the shot. I also attended the general reviews with instructor Kevan Shorey. Both had wonderful insight and great eye for detail. They’re the type of animators you want to work with in a studio. You've done a great work with your assignment. How was your workflow for this shot? Thank you. I spend a good chunk of time thinking about the shot, asking questions like, “who are the characters? What is the shot about?” Afterward, I draw thumbnails and shoot lots of reference footage of myself to try to explore more ideas. Then follows an initial blocking phase and early feedback (from the instructor). Afterwards, I'd revise/elaborate on the blocking before continuing into splined. Any particular tip or advice that your instructor gave you that stood out? One piece of advice that my instructor gave me was to go to general reviews. It's an open class that any AnimSchool student can go to for additional critique. It's always good to get a fresh pair of eyes to view your work. When you're staring at your animation for so long, you can start to miss out on ways to improve it. It's important to remember that animation is a very collaborative art form so one shouldn't be afraid to share it with others. This is a clip from AnimSchool's class Body Acting, the 4th term of the 3D Animation Program. To find out more, go to AnimSchool.com and apply now! We'd like to welcome Animator Alaa Aldeen Afifah. Can you tell us a little about yourself, what is your background and how did you get into character animation? Firstly, I want to say thank you for having me in your Blog. I've become obsessed with animation and film making at a very young age, when playing video games and watching movies. Since then, I've come a long way. Now with 11 years of industry experience, I focus on character animation and how to bring characters to life.During my career I've worn many hats, from rigging to modeling but also lighting and other aspects of CG, which gives me a solid understanding of the entire CG pipeline. I've started as a self taught animator but when I realized that I couldn't push myself any further I decided to join an online animation school to expand my knowledge. I would love an opportunity to work on a big studio like BlueSky, Disney or Sony. Right now I'm a Senior Animator and the Animation Team Lead for Real Image Post Production Studio. I also work as a tutor where I record video lectures specifically focused to the Arab World future animators. Your shot "The Elf" it's pretty impressive and really funny. You went for a cartoony style there, what were your thoughts before animating it? Actually, I am always looking for something challenging and that I've never worked on before. For me, this is very important in order to improve my skills as an animator. Also I have been animating subtle shots for a while so I thought it was the right time for something cartoony. I wanted to get out of that mode and try out something new and fresh, where I could push the character's facial even more. And in the process have some fun with it too! What was your workflow for this shot? The first thing I wanted to do is determine the cameras position and the entire flow of the shot. So I did a simple animatic where I had the character in position and I could see the shot flow, and also seeing whether my thoughts were working or not. Basically, I'm very obsessed with Blocking, and I love staying in the Blocking stage as much as I can so I get to nail down everything I want to see in the shot. I recorded lots of video reference for myself playing the two roles. I had different takes for each character and then I chose the best ones and combined them together. You've worked with the Animschool Malcolm rig for that shot, what do you think of it? Simply Amazing! Malcolm is one of the best rigs I've ever touched, he is very appealing and expressive, and it has never constrained me or hold me back on doing any expression I had ever thought of. Not to mention the performance and the speed factor of the Malcolm rig, where I could play the shot in real time inside Maya's viewport without making any playblasts! In AnimSchool's Class - Animating Characters, Character Animator at Walt Disney Animation Studios Tony Bonilla analyzes some of the best animated works and explains reasons behind every decision. He even shows some of his own professional work. This is just a small sample of the quality of education our students get. In Animschool's Introduction to 3D Animation Class, students get the chance to have an animation related Q&A session with their instructor Anthea Kerou. In this case, she answers about the industry, her experience in feature films and gives some great advice to students' careers, among other things. You can't miss it! This is a clip from AnimSchool's class Introduction to 3D Animation, the first term of the 3D Animation Program. To find out more, go to AnimSchool.com and apply today!